Are you looking to do some accounting on your Purse transactions? Take a look at the transaction history! Need to export your sales history for tax or account purposes? Simply go to your Account page, and click Transaction History. Then click Download CSV on the right-hand side. 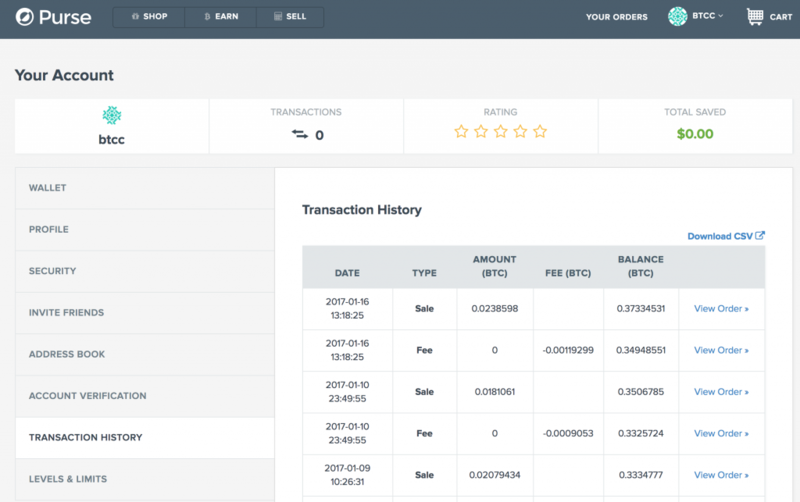 You will then receive a .CSV file of all your various sales, with the BTC total, and the USD total for each individual sale.